This is Wolf Performance Ammunition Military Classic 9mm 115gr. Full Metal Jacket Ammo. This ammo is manufactured in Russia. 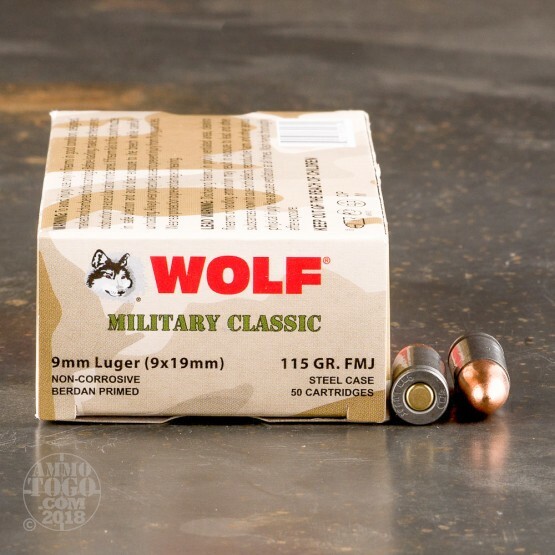 Wolf is the only ammunition company that provides a 100% Performance Guarantee. The polymer coated steel case ensures smooth feeding and extraction. 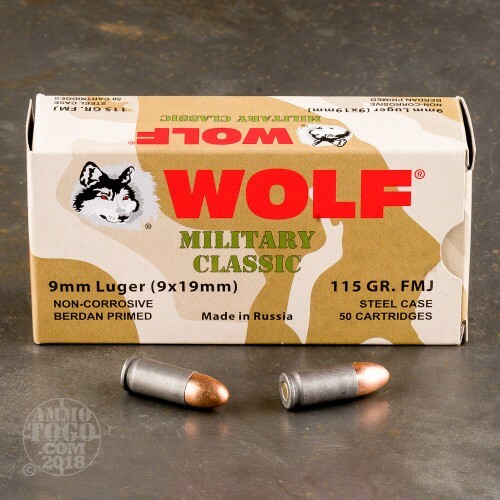 This ammo has a bimetal bullet, and is berdan primed and non-corrosive. This ammo comes packed in 50rd. boxes, 10 boxes per case. 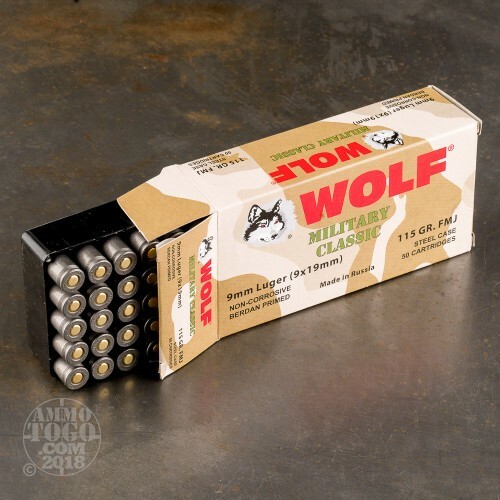 posted on 12/13/17 by Olivia K.
Based on other reviews, I purchased this ammo with high expectations that it would work well for my Glock 43. Just the opposite. It’s a terrible bullet for the 43. My gun misfires, jams, and overall does not perform the same with this ammo. I wasted money buying 1000 rounds because I barely got through 20 rounds when I realized I wasted my money on this ammo. I was worried that steel cased ammo wouldn't be reliable but so far it's been perfect. I've shot it in 2 Glocks, a Beretta 92, and a S&W Shield with no malfunctions. 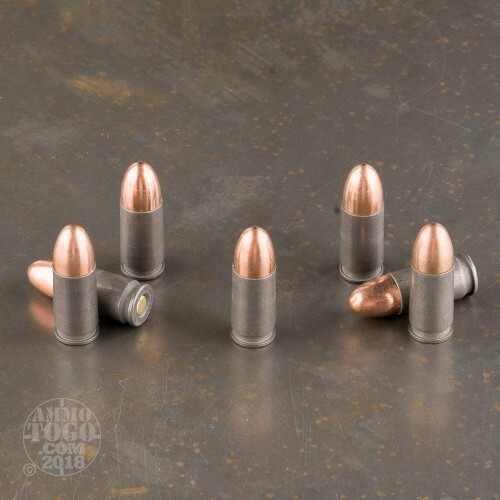 Accuracy is the same as other brands of range ammo.